If you are a prospective or recently admitted graduate student, it’s never too early to think about choosing a graduate adviser. That’s because the graduate adviser-advisee relationship will shape nearly every facet of your training. Your adviser will have an outsized influence on your professionalization and career preparation. Even as graduate programs recalibrate in response to the abysmal tenure-track job market (by beefing up career preparation of all stripes, for example), a bad relationship with an adviser can undermine or even undo these well-intentioned efforts. It’s up to you to choose your adviser wisely, manage the relationship  and cultivate a network of support. This work begins, in the best-case scenario, before you even send off an application to a graduate program. David A. McDonald notes  that you can and should have careers and advisers in mind when choosing graduate schools. That’s because the general climate of a school and department matters, even if you don’t end up sticking with the faculty member whose work and mentoring style you admire. Once you arrive on campus, you can use your time in course work to evaluate your options on a wide array of subjects, including careers and advisers. Advisers have reputations, and you need, for the sake of your sanity and career, to do your best to find out as much as you can about an adviser before you commit. You’ll get a better sense of the value of this mentor’s advice and dedication by scoping out a range of voices. Ask a recent graduate who landed a tenure-track job, the postdoc, the adjunct and the advisee who left academe. Each voice will help you make your choice. Good advisers aren’t stingy when it comes to affirmation. This one comes first in my list because I’ve seen the harm withholding affirmation can do to a graduate student’s confidence and productivity. And it’s a tenet many academics instinctively resist. This resistance happens for a variety of reasons. Academe’s prestige economy and the twin beasts of self-deprecation and the humble brag aren’t going anywhere anytime soon. And unless we intentionally work to counteract our own experiences as students and mentees, we tend to mentor and teach the way we were taught and mentored. It’s important that we recognize that affirmation isn’t incidental to good mentoring. As Johnson and Ridley tell us, affirmation is a central pillar of effective mentorship. In fact, they urge mentors that “if you could only do one thing as a mentor, affirm your protégés.” As the alarming statistics suggest , graduate school is a depressing place, particularly for arts and humanities graduate students. Affirmation alone cannot stave off depression, of course. But an adviser’s affirmation can help ward off impostor syndrome , which can -- by triggering bouts of self-doubt -- result in decreased productivity. Good advisers admit their limitations. This is especially true when it comes to careers. I once heard a professor giving heavy-handed advice to an undergraduate advisee thinking about law school. The advice seemed to be based on the same brief NPR report I’d heard during my morning commute, yet it was presented with the certainty of a death certificate. Good advisers don’t assume that the intelligence they gathered years ago about the job market is still valid today. Good advisers follow the spirit of this passage from the Hippocratic oath: “I will not be ashamed to say ‘I know not,’ nor will I fail to call on my colleagues when the skills of another are needed for a patient’s recovery.” In the context of graduate education in the humanities, this means that good advisers must learn to work as part of a team whose goal is not to clone the adviser but to fashion a path through graduate school that aligns with the student's goals. Good advisers set clear guidelines. In my experience, high-performing students worry the most about guidelines. When I first began teaching honors students, for example, I noticed that many of them would stay after class to ask for clarification. I learned quickly that to head off anxiety, I needed to elucidate all aspects of each assignment. 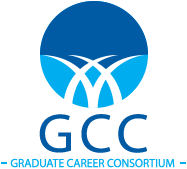 Clear guidelines matter even more in graduate school. So during your course work, mark those professors whose feedback is detailed and clear. Good advisers value pedagogy. That is, they don’t just like teaching graduate students, but they care about the instruction and mentoring of undergraduates. That disposition matters a great deal. Why? For starters, if they don’t like teaching undergraduates, chances are their enthusiasm for guiding you through perplexing waters won’t be as motivated as you’d like. But just as important, if they don’t value teaching, they are also unlikely to understand that the academic job you’re most likely to get will be teaching-centric. Last winter I organized a panel focused on the graduate adviser-advisee relationship. I was struck by the fact that each panelist (many of them advisers) emphasized how they had made undergraduate teaching a central part of the graduate adviser-advisee relationship. One panelist described how she and her advisee crafted a multistep assignment for working with undergraduates applying for internships. Another panelist agreed, noting that graduate students needed to make teaching a document-based part of the adviser-advisee relationship. That is, in addition to discussing your seminar papers and dissertation chapters, make sure that you spend at least some of the time discussing and reworking your assignments, syllabi and other teaching documents. Good advisers get you out the door. Time to degree matters: you want to get on with your life. What will keep you in graduate school for far too long are the proposal and dissertation stages. And here advisers play a crucial role. Try to cultivate a relationship with an adviser that allows you to share rough work, rough ideas, jumbles of thoughts. That saves a lot of time, as any adviser can recognize fully-formed ideas. Good advisers peer through the thicket and find the ideas lurking among the brambles. Or they recognize that you’re lost in a maze of your own creation. In either case, sharing work often in the early stages of proposing and writing a dissertation requires a mentor who can see potential and who won’t hold you back by demanding crystalline prose and impeccable logic at the outset. Good advisers are generous with their time. And your interactions with prospective advisers during course work are a good barometer of just how generous they will be. If an adviser won’t make the time for you during course work, chances are they won’t do so during the dissertation stage. As you evaluate prospective advisers, be wary of those who don’t listen actively. It is a very good sign in a prospective mentor if they don’t interrupt but instead allow you to talk through ideas to arrive at clarity. Good advisers don’t recreate themselves. Try to find a mentor who shows an interest in your aspirations, capabilities and career goals. You need to make it a priority to discover what your strengths and passions are, and you need an adviser who will help you do so. Given the cruel calculus of the academic job market, you need an adviser who is flexible, adaptable and forward thinking. You don’t want someone who won’t adjust to the situation on the ground. But also look for an adviser who is wise to disciplinary trends so that you don’t get swept up in a one- or two-year fad. If you’re looking for an academic job, you need either a well-established, well-connected mentor, or you need a rising star who won’t burn out before you’ve defended your dissertation. In either case, you need someone sympathetic to your particular career goals. Ideally, you’re looking not for an adviser but a lifelong mentor. If you can’t imagine keeping in touch with your adviser and relying on her advice after leaving graduate school, warning signals should be going off. That’s because the adviser-advisee relationship is vital in the early career stage, when advisers help navigate the transition from graduate school to the tenure track, or from graduate school to a career beyond the academy. James M. Van Wyck is a postdoctoral teaching fellow at Fordham University and a member of the Graduate Career Consortium -- an organization providing a national voice for graduate-level career and professional development leaders. Follow him on Twitter: jmvanwyck .